In the exotic realms of Kumaon, lies Bhowali standing in utmost grandeur at an elevation of 1704 metres above sea level. 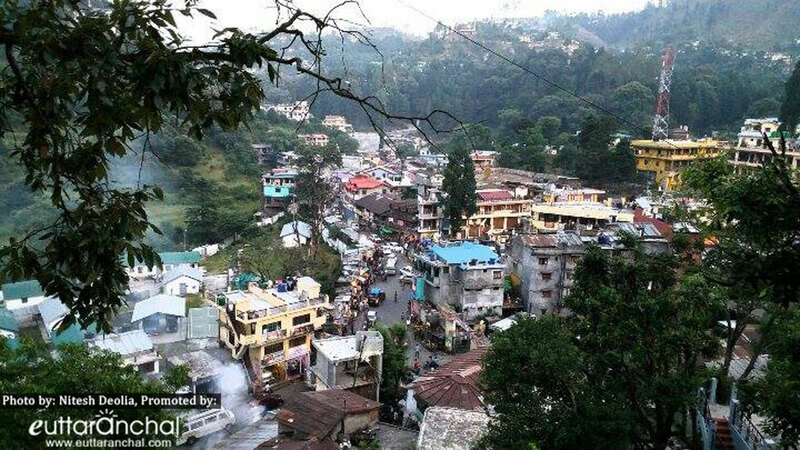 The toy town of Bhowali is located in the heart of Nainital district and is known for producing the finest quality fruits like apples, peaches, strawberries, plums and apricots that are exported to different places. Nestled amidst lush green mountains, Bhowali is known for its scenic vistas and unobstructed views of the Himalayas giving tourists the perception of experiencing heaven. It is a travel destination for those who want to spend their pleasant retreat surrounded by serenity and peace. With Two Chimneys in its neighborhood, Bhowali is one such place where you can travel, have fun, make memories and savour the flavours of Uttarakhand at the same time. Bhowali is not only rich in natural vegetation but has abundance of wildlife too. Bhowali offers affordable and alternative accommodation during the peak season of Nainital, which is only 11 kms from Nainital. Another advantage of staying at Bhowali is its location as it is situated at a junction to roads leading to Mukteshwar, Bhimtal, Naukuchiatal and Ranikhet. Bhowali is known for its various types of fruit orchids. One can purchase apples, apricots or pears from the farmers directly during the fruit-season (May-August). Due to it is proximity to popular tourist destinations like Nainital, Bhimtal and Naukuchiatal quite a few hotels and resorts have sprung up at Bhowali. However, please keep in mind that Bhowali is still a small town and therefore high-end hotels and resorts are not available. Instead, one could find affordable guesthouses and budget hotels here. It provides alternative accommodation for travelers heading towards Nainital during peak season. Being a small town, it is almost impossible to find a fancy restaurant with variety of cuisines. Tourists staying at Bhowali will have to make do with limited food options available. There are roadside food joints that offer popular North India cuisine. Other than that, you will be eating mostly in your hotel or other nearby hill stations. Currently, the researchers haven’t come up with the facts and history related to Bhowali, but one thing that lures everybody towards it are the remarkable historical places and ancient temples, erected in the region. Bhowali beautifully showcases some of the old forts, monuments, artefacts and the other important archaeological sites that have unheard stories hidden inside them. There is also an incredible historical fort at Bhowali that was built in 1540. It is said that during this period, several monuments were built which continues to enchant the visitors by their rustic charm. The landscape of Bhowali is a sight to behold which lures many backpackers to flee here for exciting camping, trekking and picnicking amidst the wilderness of the Himalayas. Since Bhowali has a relaxing atmosphere it can be visited all around the year. Jackals, kakkar, Himalayan eagle, and pheasants are some of the animals that are commonly spotted here from time to time. Some of the popular tourist attractions located in the vicinity of Bhowali are the Golu Devta temple, Kainchi Dham, Bhimtal, Sattal, Nainital, Ramgarh and much more that can be easily accessed from here. What is Bhowali famous for? Bhowali is famous among tourist as Fruit Orchards. Bhowali is popular destination for following activities/ interests - Business Hub, Orchards. Travelling to Bhowali in 2019? Contact us for planning your Bhowali tour with best travel packages of as per your requirements!